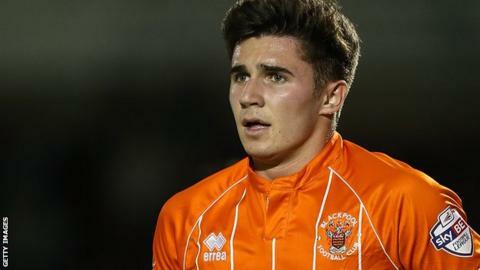 Blackpool midfielder Henry Cameron will miss the rest of the season with an anterior cruciate ligament injury suffered on his international debut. The 18-year-old was playing for New Zealand against Oman but was taken off on a stretcher in the first half with the knee injury. Cameron, who has come through the academy, had made 16 appearances so far this season for the League One side. "He's been brilliant this season," said manager Neil McDonald. He told BBC Radio Lancashire: "He's earned his international call-up and that was brilliant for him and his family, as well as the football club. "It's devastating to hear that he's had a really bad injury and is going to be out for the rest of the season, but we'll make sure he's well looked after."